I was experimenting with adding elements to the UI and with Skyrim Special Edition coming out I figured this would be appropriate. Special thanks to Circonians TextureIt as this probably won't exist without it. Considering the way replacing textures works it may cause some issues if you use it along with other UI replacers. 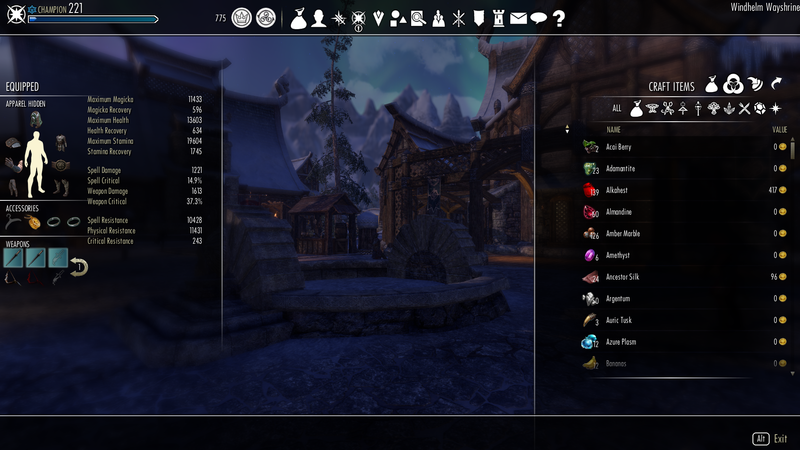 Drag and drop "SkyrimStyleUI" into your ESO addons folder. Feel free to use this and all it's files as a resource for other addons. Will this get an update any time soon? It's missing a few of the newer Summerset textures. The first image is the addon in gamepad mode. The third image is keyboard mode. Although if you want to you can use keyboard and mouse with gamepad mode and assign your own keys. If you unbind all the gamepad buttons in controls the gamepad UI will display keyboard keys and you can change those as well. The only real issue is you wont be able to control the map but you could always set a key to toggle gamepad mode if you're truly determined. I was terribly excited when I found your mods, but Icant seem to get it to do much of anything. The oblivion UI works just fine, but the skyrim one doesn't seem to be making any sort of noticeable changes in the ui, even with a fresh restart and reinstallation of the UI. Im not getting the sort of "gamepad-mode, with keyboard hotkey assignments" vibe I got from the very first image you've chosen to showcase the mod. Was I ever intended to with the addon in it's current form? All I notice so far is an emboldened definition between the game and its border while in menus, and a garish otoltip with a stark white border at the cursor when I hover over many things. At first I thought it to be a conflict with my other addons. I run approximately 30 addons regularly. skyshard, TTC, NNm azurah, AUI, DelMyMail, Vampires Woe are a few of the staples. so I disabled all, except skyrim ui, whose Saved Variables I deleted (because I had installed this game as well as oblivion/morro at the same time, hoping I could disable 2 of the 3 on each character and have acustom UI for each ) But still i see hardly any recognizable change to the games standard ui. Any thoughts on the matter? Anyone? Last edited by z3r05k111 : 04/25/17 at 04:34 AM. Unfortunately the nature of these add-ons makes it so they can't properly co-exist. You can have them all installed but if they're all activated they'll conflict. What I do when testing is I set whichever ones I'm not using back to Vanilla, then disable them and only enable the one I need. Technically, they aren't all activated at the same time. Each character has only one of the three activated, not all three at once. So if Character A is using SkyrimUI and the other two aren't activated, there shouldn't be a conflict. Yet somehow if Character B has OblivionUI activated but not SkyrimUI, there's a conflict and things get weird. So I think I see how this is working now. It doesn't look at who has what add-on active. Its not completely character specific about activated add-ons. I noticed that this, the Morrowind UI and the Oblivion UI addons have a habit of clashing. 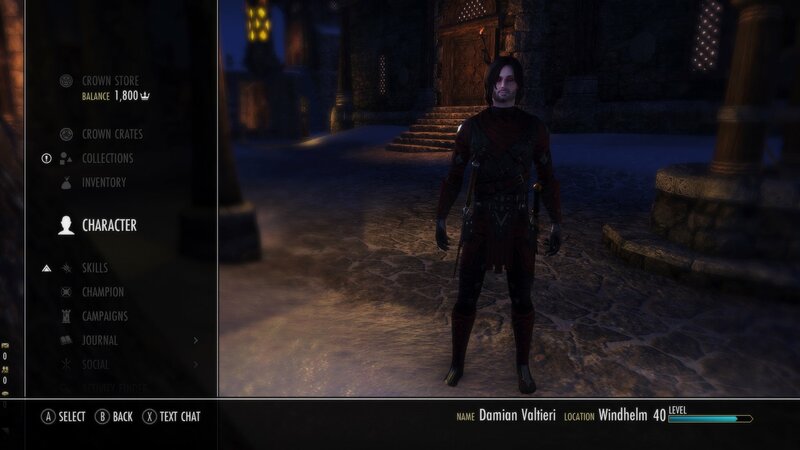 I've set Character A to use this UI mod, while Character B uses Oblivion and Character C uses Morrowind. While Characters B and C have access to their respective UIs (with a possible exception to how inventory is listed in the Oblivion style inside the frame), the SkyrimUI failed to activate on Character A and I instead was greeted with the Morrowind UI. * Character A has the SkyrimUI activated (OblivionUI and MorrowindUI are inactive). Sees the MorrowindUI style with OblivionUI item lists. * Character B has the OblivionUI activated (SkyrimUI and MorrowindUI are inactive). Everything normal. * Character C has the MorrowindUI activated (SkyrimUI and OblivionUI are inactive). Has the OblivionUI item lists. Uninstalling your other two UI mods and their saved variables fixes the problem and allows SkyrimUI to function as intended. I don't know what happened there though. I am using gamepad mode -- and also have Wykkd's Toolbar AddOn installed (which bumps the compass down) -- with this addon, during boss fights the bosses health is put in the compass area. This is fine however it keeps bumping up and down. It appears to be almost random that the compass moves moves up and down. It only happens during boss fights. Updated the add-on this morning, and now all the borders around text and items are gone. Uninstalled to go back to the previous version and borderless text remains. Additionally, completely uninstalling the addon messes up the default compass. Just tested it myself to check and it seems fine. Did you restart the game after updating? 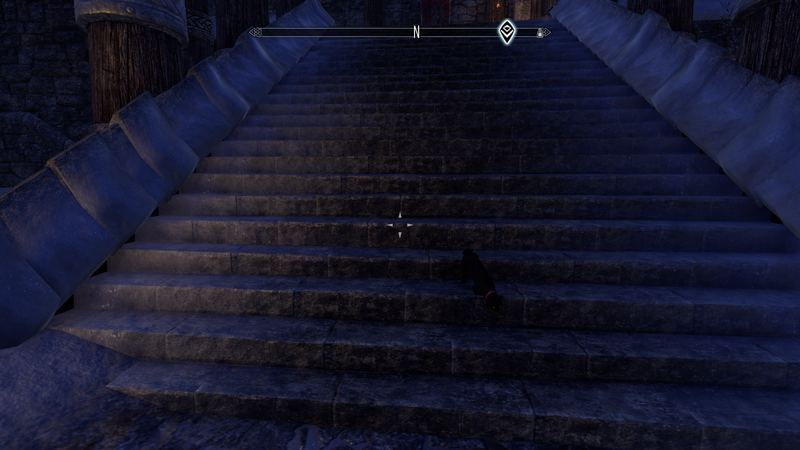 ESO is a little finicky with replacing textures. I'm gonna look into a way to make it easier to turn on and off in a bit but until then if you want to revert to an older version or remove it you need to reload the game. Last edited by Half-Dead : 10/31/16 at 06:25 AM. Last edited by Scyantific : 10/30/16 at 05:47 PM. 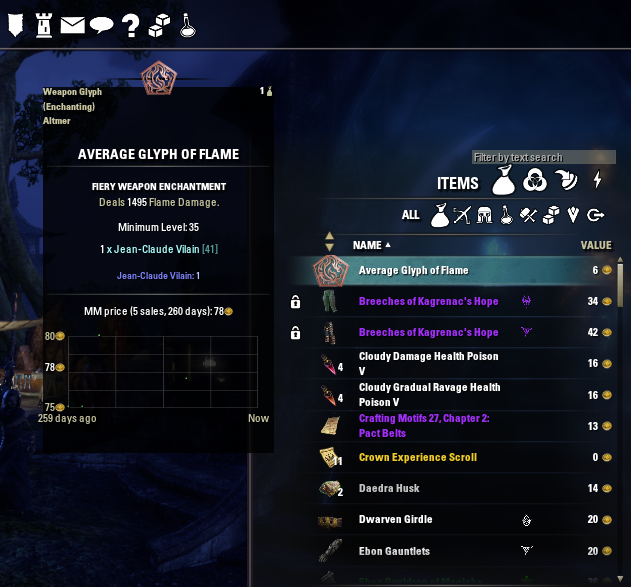 Thanks for making this addon and the Oblivion UI addon. They both look fantastic. I'm not a fan of the white buttons on this one though. Is there some way to disable just the change in buttons (map, character, bag, etc)? Open skyrimstyleui.lua with notepad or anything really and remove these lines. Then you'll have the vanilla buttons again. I'd love to make this easier with an in game menu but I just don't quite have the lua knowledge for that unfortunately. Last edited by Half-Dead : 10/30/16 at 07:15 AM. This is awesome. Thanks for doing this. Was it not possible to remove the default texture from the Skills screen and the other screens with it? Last edited by Casepb : 10/24/16 at 01:01 PM.